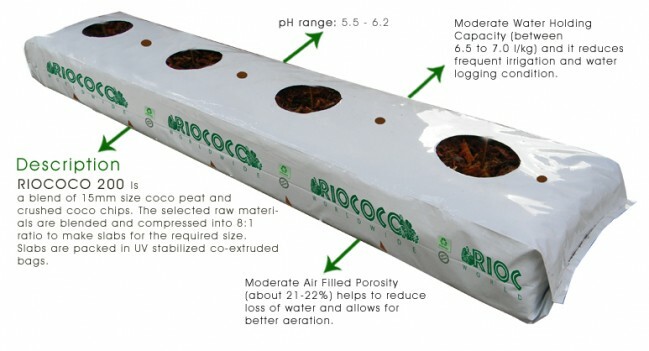 Riococo 200 is a blend of 15 mm sized coco peat and crushed coco chips. The selected raw materials are blended and compressed into 8:1 ratio to make slabs for the required size. Riococo 200 slabs are packed in UV stabilize co-extruded bags. Place slab on level profile with good drainage - check the EC of the runoff to make sure it snot too high. Flush the slab as necessary to lower.